Are you considering commercial flat roofing for your business? The process of selecting the right flat roofing company for your needs can be challenging—primarily because there are so many options out there. How exactly are you supposed to tell a good company from a not-so-good one? What features should you be on the lookout for as you search for the best roofing company to handle your project? The answers to these questions are largely the same regardless of where you are located or what kind of business you have. Keep reading for factors to bear in mind as you search for a high quality commercial flat roofing company. What Should You Look for in a Commercial Flat Roofing Company? First and foremost, does the commercial flat roofing company you’re investigating have a good track record? You should look into testimonials, reviews, and even personal opinions from friends and family. Do not be afraid to ask around – this is your money and your business’s roof at stake! 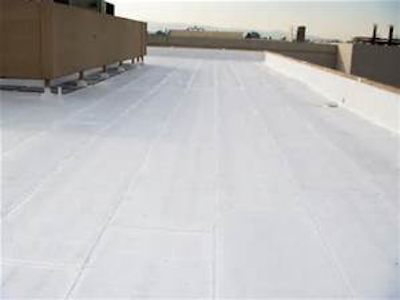 Previous customers are especially helpful when it comes to gauging a potential commercial flat roofing company’s experience and professionalism. A reputable flat roofing company will have positive testimonials and reviews pointing to its high level of expertise, experience, and customer service. How Do You Know When You’ve Found the Right Flat Roofing Company? Even after finding a company that satisfies all of the above factors, it is important to speak with someone at the flat roofing company you are considering to hire. Write down any questions you might have about the process, and ask the professionals. Are they able to answer your questions thoroughly? What will they do in the case of a mistake? Make sure you feel comfortable with your selected flat roofing company and that they understand your specific needs. Are you ready to find the right commercial flat roofing company? Allow our experienced team of roofing experts at Montgomery Contractors to answer your questions today. We place a high priority on your budget, your needs, and your satisfaction.